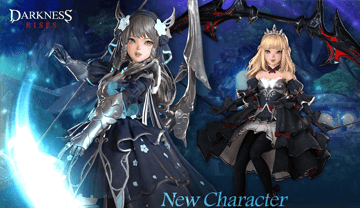 Here'a a skill build and combo patterns for players playing Archer class in Darkness Rises, a hack and slash action adventure Android and iOS mobile game. Archer - An archer who uses longbow to attack enemies from afar. Adept at ranged battle, the archer can turn the tides of battle with her deadly accuracy. - Wind Walk is your initiator skill, you should master how to use this properly to close the gap between you and your target before unleashing your nukes with higher accuracy. - Supernova and Multishot are your base nuke skills. Basically, use Windwalk to close in, Supernova for damage, and Multishot to knockback your target. - The best thing about this build is that they all have the same cool-downs, very high DPS ratings (820% base damage output every 11~13 seconds! ), and AoE range, so upgrade these 3 early on to massively increase their damage output! - Note: Even if Wind Walk's hits doesn't connect 100%, the DPS rating for this combo is still very high! - Notable Disadvantages: This combo relies on player skill to execute Wind Walk with accuracy, if you missed, use your nuke's AoE range. Getting close to your enemy is also risky, so make your Archer sturdy and time your attacks well. - If you were able to pin your enemy to the wall after the combo, do another AA while the enemy is on the ground. 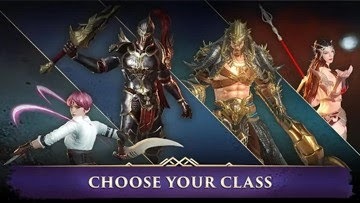 - Wild Shot is a stun skill that can help you easily connect combos, and in-case your Wind Walk missed, you can still use your Wild Shot's AoE to do a 2 skills combo + AAs. - Note: In terms of all around use, I would still recommend the first combo above. 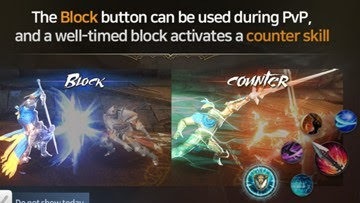 Use this alternative combo only if you are having trouble connecting your skills during Dual or Team PVP. - Notable Disadvantages: DPS is way lower than the first combo build above, and if you will use your stun skill while your enemy is doing combos, it won't work. - Note: Upgrading them would also diversify your Skill Points, so I would recommend to focus on few skills first during early to mid game for all around use. 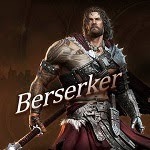 - Use your range to your advantage especially those areas where you can snipe enemies through walls or obstacles. Spam your AAs to support your teammates, but watch out for incoming attacks and quickly use block or dodge. 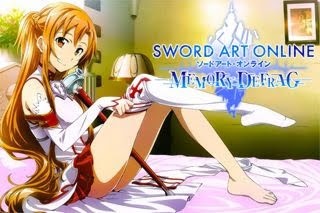 - Use after dodging an attack, best if they are using a skill with long animation! - Use it to fend off other players who are trying to get to the Ultimate Orb spawn point, but still be careful and use Block when the Orb is about to spawn (make sure to stand where it should pop out). 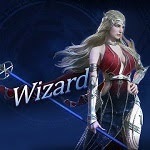 - Your role is to abuse your skill's AoE, high damage output and DPS to deal massive damages! - Use Wind Walk to close in to your targets, and help you land your nukes. Note: Even if Wind Walk's hits doesn't connect 100%, the DPS rating for this combo is still very high! - Supernova for AoE nuke, then Multishot to push them away with bonus debuff. 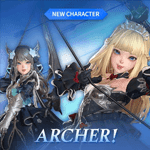 - Multishot can also be your "Ring Out" skill, which would make your Archer a powerhouse! - Just be careful and don't dive into clashing skill attack animations, because you might get caught and catch huge damages instead. - Your skill's cool-downs are quick enough, so after spamming them, go and find some Orbs (specially Resistance or Life Orbs to increase your survivability). 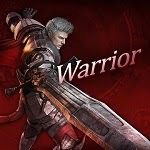 - Unlike Duel PVP, Team PVP will give you a lot of opportunities to accurately use your skills. The best way is to always go where your teammates are, because it is easier to target enemies that are doing combos or AAs. 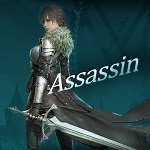 - You can also get a lot of Assist Points by doing this. - Try to stay at the bottom half area of the map, to get a clear view and advantage over others when spamming skills. - Same info above (check Wild Shot's info under Duel PVP Alternative Skills). - Notable DPS for PVE, no need to upgrade Firefly early game if it is only used for PVE, but do upgrade if you need more fire power and once you get extra skill points, cap them to Lvl 9~30 first (multiples of 3). - Max Multishot to increase Damage Output and decrease Cool-down. - Max Wind Walk to increase Damage Output and decrease Cool-down. - Only upgrade Song of the Wind if you need more fire power for PVE and once you get extra skill points, cap them to Lvl 9~30 first (multiples of 3). - Upgrade Wild Shot if you need more damage for PVE, but cap them too to Lvl 9~30 first (multiples of 3) to save up SP for your Main Skills. 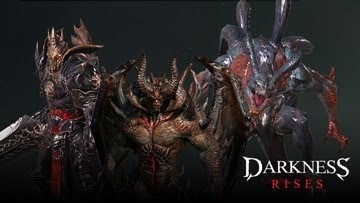 Max if used for both Duel and Team PVP, otherwise just upgrade for PVE use. - Max Supernova to increase Damage Output and decrease Cool-down. - Please note that this is not the only way to play Archer, also try other skills as well since you can max them all in the end.